Marrying Research and Public Service Zainab Abiza '19 interviews Morten Wendelbo '12 about his research focusing on economic development, humanitarian aid and food security. 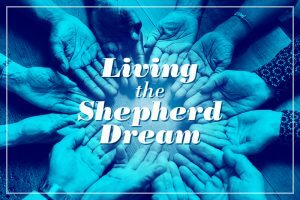 Editor’s note: In this series, “Living the Shepherd Dream,” current students in the Shepherd Program for the Interdisciplinary Study of Poverty and Human Capability at Washington and Lee interview alumni of the program who are working in a field that interests both. Look for additional installments in this series on The Columns. 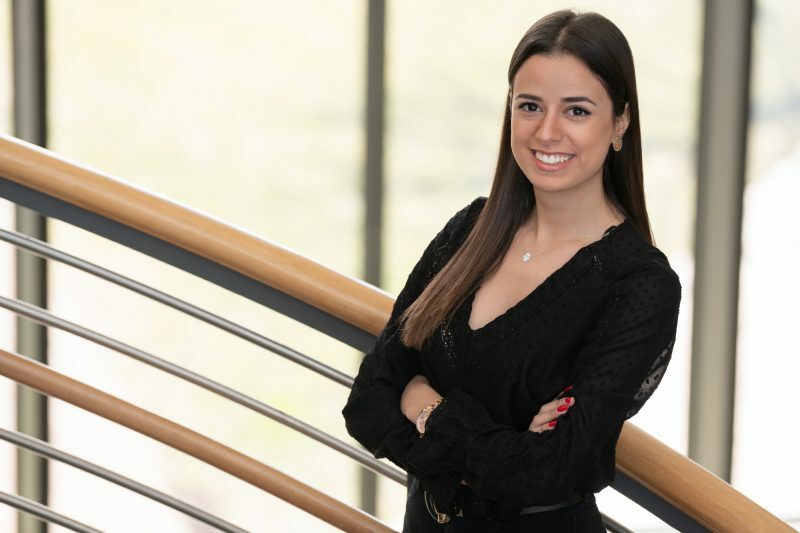 Zainab Abiza ’19 is a senior from Rabat, Morocco, who is majoring in economics and global politics, with a minor in poverty and human capability studies. She is interested in the fields of international affairs and economic development. Last summer, Abiza secured a Davis Projects for Peace grant that enabled her to design and implement a project aimed at increasing educational attainment for rural girls in Morocco. She is currently working to expand this program domestically. Abiza is Princeton PPIA alumna and has conducted research on counterterrorism. She is fluent in Arabic, French and English. Next year, she will pursue an M.A. in China as part of the Schwarzman Scholars program. Zainab recently interviewed Morten Wendelbo ’12 to learn more about his post-undergraduate career in the field of public service. Wendelbo is a research fellow in the Scowcroft Institute of International Affairs at the Bush School of Government and Public Service at Texas A&M University and a PhD student in Government at American University. He is a development economist by training and his research focuses on economic development, humanitarian aid and food security, especially as they are affected by complex emergencies such as natural disasters, pandemics, epidemics and conflict. 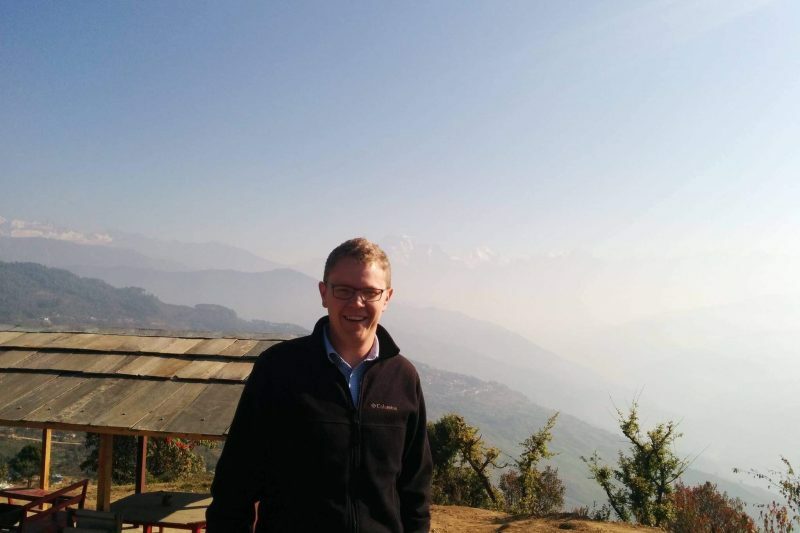 Morten Wendelbo ’12 pauses for a photo during a work trip in Nepal. How did W&L prepare you for your public service work? The late President H.W. Bush once called public service “a noble calling.” As I arrived on campus in 2008, I already knew I wanted to enter public service, partially because I, too, thought of public service exactly this way. As a college freshman, I had no idea how to make that dream come true, nor how I could make the biggest positive impact on the world around me. Almost immediately after arriving on campus, however, that changed. My first semester, I volunteered with Campus Kitchen at Washington and Lee, an organization dedicated to combating hunger in Lexington and Rockbridge County. I met a dozen other students who shared my aspirations, who spent the better part of their time in college putting people around them before themselves. I learned a lot from just getting to know this group of people who showed me that balancing school and community service wasn’t only possible, but incredibly rewarding, too. When I graduated from Washington and Lee in 2012, I had spent nearly 1,000 hours at CKWL, eventually as an executive officer with the responsibility of an entire branch of the organization. I even had the opportunity to serve as acting director for a short period, managing all of the kitchen’s programs and volunteers. These opportunities gave me a chance to understand many of the different aspects of public service, and gave me a tremendous respect for those who carry out the unfathomable amount of administration necessary for any charitable or government organization to run well. Shortly after arriving in 2008, I applied to the Bonner Scholars program, which is a leadership program that helps budding public servants develop leadership skills. It was the Bonner Scholars program that helped me be able to spend such a large part of my time at CKWL, and to be successful at managing often very large groups of volunteers. As part of Bonner Scholars I was able to spend my breaks doing meaningful work, as well, including a service trip to New Orleans, and to later lead such a trip for other students to Shreveport. And, of course, [I learned from] the coursework and research I did while at W&L. In particular, I learned from my faculty that I could marry my desire to be a public servant and my desire to do research. Today, these two are combined in almost everything I do. As an academic, my entire focus is on producing research that can help others make better decisions about how to maximize well-being. I quickly got tired of asking questions which I didn’t always have the skills to answer. W&L funded the research I did for my thesis, and that opened up a whole new world to me. It made me ask more questions, and find the answers necessary to make better policy decisions. But the type of modeling necessary to find answers is highly technical, and not something I could learn at W&L. I did my master’s degree in international development and economic policy to acquire some of those skills, and I’m now doing my Ph.D. for many of the same reasons. I plan mostly to continue doing what I’ve been doing for the past few years. I spend part of my time doing research, a part of my time writing for several media outlets, and a part of my time consulting for different countries and international organizations. They all tie into trying to generate knowledge and then apply that knowledge in a way that benefits the most people in the most ways. Recently, I’ve worked a lot on malnutrition and natural disaster outcomes – specifically how to help individuals, families and communities prepare for, withstand and recover from different types of disasters. How does a government shutdown affect the federal government’s long-term ability to ensure good public health? In the short term, it will hardly have any effect. The effect is longer term, and quite destructive. First, although the hundreds of thousands of dedicated public servants we have are not in it for the money, it will be hard for them to defend working for the federal government when the government routinely causes their families economic hardship. Especially the best and the brightest, who can easily get jobs in the private sector, will likely feel a pressure to take that job to make sure they can provide for their families in the future. Second, the disaster off-season, during which the shutdown occurred, is the time when forecasters, firefighters, and many other groups of public servants pivotal during the disaster seasons, have lost. The shutdown went on for so long that there is no way to fully recover before the disaster season starts. If we have a severe disaster season for the third year in a row, we will pay for the shutdown in lives lost during summer and fall disasters.